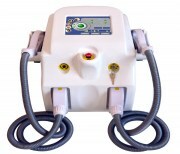 IPL-SHR is a single pulse and a multi-pulse hair removal equipment that can emit energy averagely, it gradually heats the dermis with OPT square-wave pulse and passed over the tissue multiple times using low energy but a high rate of repetition adopts 640~1200nm wavelength, penetrates directly into the hair follicle. 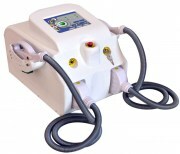 It speeds up the treatment, saves time, reduces pain and more effective. It has a perfect cooling system which ensures the great refrigerating capacity of the handle and makes the contact area between crystal and skin still -4℃~ 5℃ even after a long working time achieves a virtually painless, high-efficiency hair removal. and pain-free hair reduction treatments for clients.